Luxury isn’t far from reach, especially when you shop for pre-owned vehicles near Alpharetta, GA. 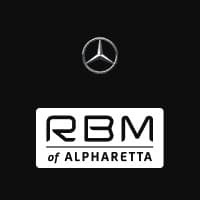 Whether you want a used Mercedes-Benz from a recent model year or an upscale model from a different automaker, you’ll most certainly find what you’re looking for at RBM of Alpharetta. Browse our inventory, apply for financing online to expedite the process when you get to the dealership, and contact our team to set up some test drives. The top reason that John’s Creek drivers search for pre-owned vehicles near Alpharetta, GA is, of course, price. You know you can get a whole lot of car for a whole lot less, and you may even be able to spring for a luxury vehicle like a Mercedes-Benz. But the benefits of buying used don’t start and end with affordability. At a dealership like RBM of Alpharetta, you can also count on ample selection, high reliability, and sheer value. Don’t believe us? Just explore your options within the inventory of pre-owned vehicles we have in stock, and we’re confident that you’ll agree.